Home » Posts Tagged "site map"
SEO Site maps are useful to humans but rarely used if you have a site map for your site for visitors it should be in html format and well laid out. 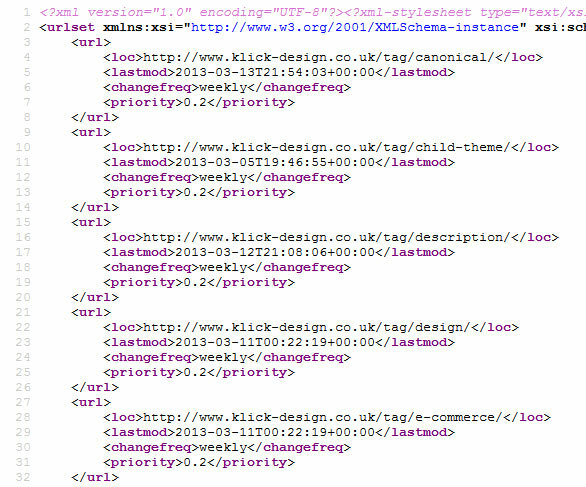 Where site maps for SEO come into there own, they should be in xml format (see right). An xml site map will tell search engine the structure of your site and the pages that are there and where they are, it will also tell the search engine the priority you give that page. There are many good site map generator tools on the market to suit most systems. Google have a very good tool but it is a bit complex this is great if you run multiple sites of one server. If your site is a single site and less than 500 pages then this tool is free, I have a paid for copy and use it for many years on sites that are very large and complex. Site map for images, you can also create a specific site map for your images if you so desire, I create a lot of images and graphics but I do not want to waste my server resources letting the search engine spider my site so I do not bother. 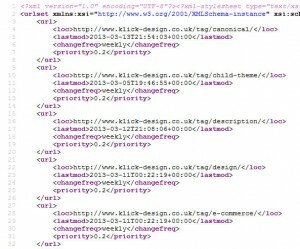 If you were a photographer or selling products then definitely have an xml site map for your images. You can create a site map folder in your root folder to place your site maps in and the search engines will find it, or in Google webmaster tools you can tell Google where it is.